before I ask this question, thanks for answering my previous questions. ok, I got luigi's key, and on the "congradulations" screen, the game froze. why? Last view: 26 days ago Don't know if this is the right place to ask but, how do we change collision type of a material(like grass, lava etc.)? Sorry for the total noob question but I can't find it anywhere. Don't know if this is the right place to ask but, how do we change collision type of a material(like grass, lava etc.)? Sorry for the total noob question but I can't find it anywhere. EDIT: If i get it correctly there's no way to make a collisions based on textures, like it is in the SM64 model importer? Last view: 305 days ago Yes there is: when you load a model to import, either in the KCL editor or Model Importer there's a table that lists the materials and the collision types they'll be imported with. Change the collision type per material to the ID of the collision type you want (you can view/edit a level's collision types in the CLPS editor (CLPS in Level Editor)), click on 'Assign Types' and then import the model. It's set to zero by default which in most levels is solid. 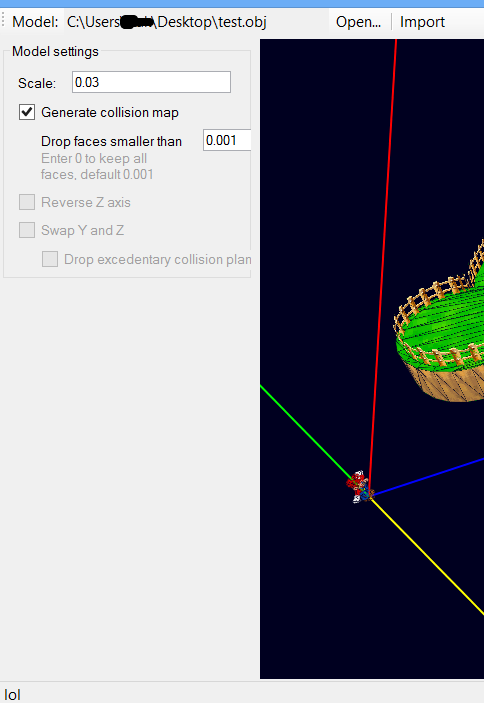 If you want to use the collision types available in one level in another, you can copy them over using the CLPS editor. Yes there is: when you load a model to import, either in the KCL editor or Model Importer there's a table that lists the materials and the collision types they'll be imported with. Change the collision type per material to the ID of the collision type you want (you can view/edit a level's collision types in the CLPS editor (CLPS in Level Editor)), click on 'Assign Types' and then import the model. It's set to zero by default which in most levels is solid. If you want to use the collision types available in one level in another, you can copy them over using the CLPS editor. Wait, for me there isn't any table with materials..
Last view: 194 days ago You're not using the latest version. You're not using the latest version. Last view: 3 days ago Since when have rom hacking tools ever had installers? Since when have rom hacking tools ever had installers? Meh, you get my point, I don't know how to use the files inside it. I package the source as well for if anyone wants to look at it or compile and debug it themselves. Oh well, didn't look in there. Thanks for the help! Btw, is there a list of collision types somewhere on the forums? Last view: 305 days ago Only a very small number are documented; look in bin/Release/CLPS_Types.xml for a list of the known ones. Any known collision types will appear in the CLPS editor "Type/Description" column. You can use this dropdown to set the collision type for that row (ID). Only a very small number are documented; look in bin/Release/CLPS_Types.xml for a list of the known ones. Any known collision types will appear in the CLPS editor "Type/Description" column. You can use this dropdown to set the collision type for that row (ID). But how do we assign collision types to textures using the CLPS editor? Last view: 305 days ago You don't. Last view: 26 days ago Oh nvm, didn't read through your response correctly, sorry! 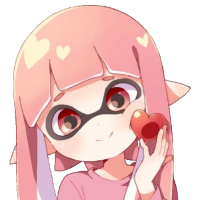 Edit: Finally got it to work, thanks so much for the help! Last view: 1032 days ago Where can I get the latest version of the editor? The Super Mario 64 DS Downloads tabs just takes me to a page that only has downloads for Whitehole and Wiiexplorer. Where can I get the latest version of the editor? The editor development thread. It's somewhere near the end of the topic. Are there any Sm64ds editors for mac? Last view: 305 days ago You should be able to load the source code in Mono and compile and run it that way or you could also probably try running it under Wine for Mac OS X.